Acrylic signs have many variations and the material can be used in many ways. There are coloured and clear acrylics available and they can be printed direct or have self adhesive vinyl graphics applied to them. We are able to print directly onto the acrylic, this can be done on clear with translucent inks to create a stained glass effect, this allows light to pass through, or with white ink on the reverse of the print to make the colour solid and vibrant. 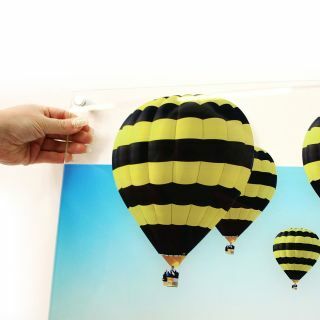 The ink can be applied to specific places of the acrylic to retain the transparency of the material in certain areas or it can be applied to the entire sheet to create a solid image on the reverse of the acrylic, giving a lustrous, high gloss finish. Acrylic signs can be perfect for displaying public information and printed graphics and add a touch of class to your building or event. There are many ways that acrylic can be used and many different finishes are available. We can cut it to shape to display your logo or print as well as personal photographs, and can also be supplied with standoff wall mounts for fitting. Nothing, acrylic is just the material name, otherwise known as Polymethyl Methacrylate. Whereas Perspex is a branded name for the material. What is the best way to put an acrylic sign up? As the print or vinyl graphic is typically applied to the reverse of the sign (to avoid damage from the front) it isn't advised to fit it directly against a wall. 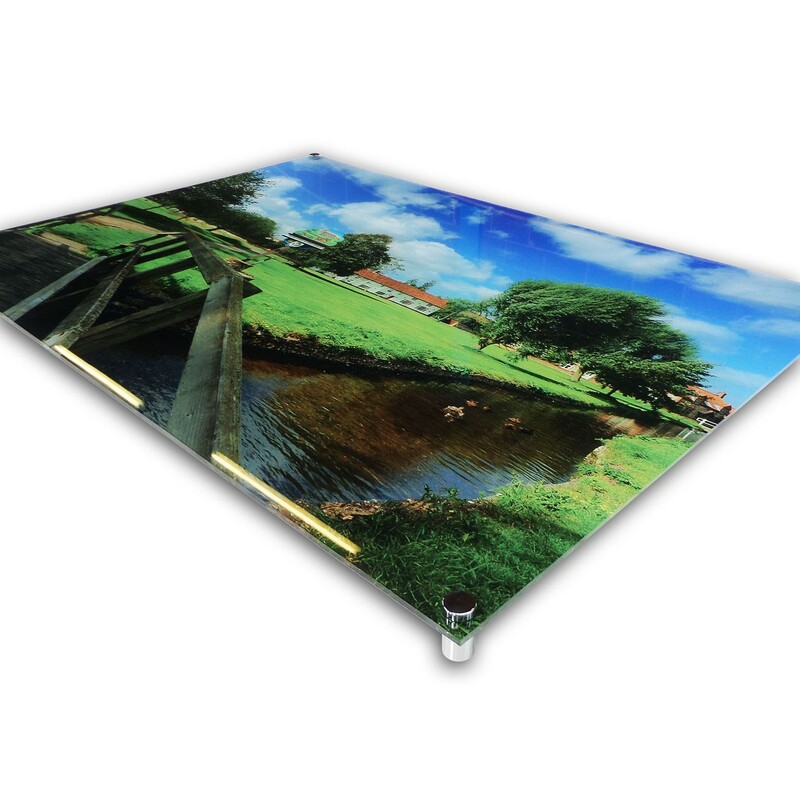 We can supply your sign with standoff wall mounts, these will allow you to attach your acrylic a small distance from the surface of the wall to avoid any damage or scratches. My Acrylic sign looks blurry, is this normal? When we print and package acrylic, we leave a protective film on the front of the sign to help avoid any scratches or other damage, as such it might just be that this hasn't yet been peeled off. Please note, if the sign has been vinyl applied, do not attempt to peel off the graphic as this could cause damage your product.